Portrait: a picture of a person’s appearance and character. Well this is another interesting topic in photography and is very challenging. Shooting portraits can be very interesting. The first thing that we do when we hold our camera is that we start taking pictures of yourself or our loved ones. Now what we can do to add more grace to your portraits is what we are going to learn from the below tips. Shoot from different angle: Generally photographs are shooting from a position straight to the subject. Step down or move up to your subject. This will help you to create better looking portraits. Eye positioning: it is very important for a photographer that his subject looks at the right place at the right time. Sometimes looking straight into the camera does not give those effects to your images. Making the subject look at the other side of the camera can give a more natural look to your portrait. Play with the lights: adding lights to your portraits can be great. Keep experimenting with lights now and then. Use side-lightning, backlighting etc. which can add more beauty to your pictures. Moreover lights can make your images look more bright and full of life. Comfort with camera: it is very important for you subject to be very comfortable with our camera. Make the subject relaxed so that it does not get conscious while the shoot is on or else it will show in your pictures. The subject should not be hesitant while shooting. Try to make it more real and natural. Photograph candidly: we have observed at times that we the subject is posing for a photograph we do not get desired results. Shooting honestly will help. It simply means that let the subject be natural. You can shoot them while in the garden or at their work place also when spending time family and friends etc. subjects tends to be more natural and less conscious with the camera. Using a prop: it may sound weird. Prop in portraits? But this is a great tip to add some more beauty to your portraits. Try to focus on the prop more than your subject. It will be an eye catcher. It will work! Choose lenses: lens selection for different shoots is important. When you focus a particular part of the subject you need a lens whose focal length is long. Photographing a particular part of the subject can also leave an impressing remark on the viewer. Framing the subject: framing can make your portrait more interesting. Place the subject at the window, a doorway or let them peep into something through their hands. All this are great frames for you pictures. Shoot shoot and shoot: keep shooting with every angle till you get your desired result. Change you camera’s settings to continuous shooting mode. This will help you in presenting a number of images to choose upon. This technique works wonders with children and with moving objects. Good photography is not only the result of good camera; through even a simple camera you can click a nice shot. A beautiful and good image is the result of great photographer not camera. For taking some fabulous and great picture you just need little knowledge and enthusiasm to make adjustment. Thus in this way will be able to take nice picture even from simplest digital camera. When you are outdoors photograph and sunny landscape, then change your settings from auto to cloudy. Through this adjustment you will get more beautiful picture as there it increase the reds and yellows , makes the picture more warmer and richer. You can check this by comparing the photos taken in white balance on auto and cloudy setting. For adding some more punch to your photos you can choose polarizer filter. This filter is very useful for the photographer for taking picture of scenery or outdoor shooting. It reduces the unwanted reflection and glare. These filters have more saturated colors especially on sky. If your digital camera cannot accommodate filters then don’t get upset. Just use your set of sunglasses as polarizer filter. Place the sunglasses as close to the camera lens as possible. For the best effect make sure that the sun is over either right or left shoulder. The great feature of digital camera is the fill flash or flash on mode. Use the flash when you need it not when camera considers it appropriate. In flash on mode, firstly the background is exposed and then adds sufficient light to the subject. Thus with you can create a composition like professional. Even wedding photographers have been using this technique for years. Make sure that you don’t stand too far from the subject while using flash because in most built-in camera only have range of 10 ft or less. You must try macro mode while taking picture. With this mode even the simplest subject takes new fascination and it is very easy to do with digital camera. You must keep in mind that you have very shallow depth of field while using close-up mode. Focus only the part of the subject that is most important to you. This will help you to take some beautiful shots. For taking some good shots you require tripod. A tripod is a three-legged support and is very useful in taking certain types of shots. Sometimes you find it too difficult to carry it but for digital shooters there is good news that they can use UltraPod IIby Pedco. This very easy to carry as it gets fit in your back pocket and helps you to steady your camera in various situation. This feature is very much helpful in taking picture at time of missing photographer. Almost every digital camera has this feature. Through this function you can delay the shot for 10 seconds. Thus try this for some magnificent work. For creating a composition with running water you just need to open the camera shutter for few seconds or two. You need a tripod to steady the camera for the long exposure. You can even use the self timer or if your camera has an aperture priority setting then set the aperture to f-8, f-11, or f-16 if possible. This will cause the shutter to slow down and give you depth of field. While taking a shot make sure that background is acceptable. There should nothing growing out of head or ears of the subject. You must try to get additional memory card with you. This will help you to save a large number of pictures and can capture the moments without any tension of storage. The best place to shoot form is when the sun is behind you. The light form the front brings out the color and from the side it will create shadow. 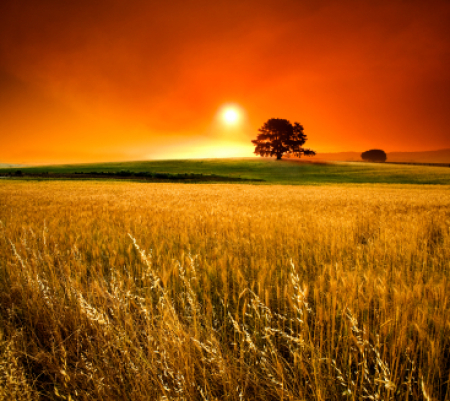 By following these tips you can create some good and memorable composition. You can even tell everyone to that it’s not the camera responsible for excellent picture but it’s the photographer responsible for it. Firework photography is very challenging.Just by adopting simple rules you can overcome the difficulties in firework photography. Here are some guidelines which will help you in this field. Go grab it! Explosion happens just for a second or so and you don’t have the time even to blink your eyes. So it is very important to lock your camera as you can’t afford to miss out even a single ray of the explosion. To capture those sharp images,it is important to crown the tripod with a camera. The head of tripod should be loose so that you can do the movement of you camera easily. in short, tripods give stability to your camera which is very important for firework photography. Pack your bag well before leaving. Empty memory cards, fully charged batteries,a small flashlight are some of the stuff which must be there in your camera bag. Believe me you will need them all! Early birds win prize. It might sound like an offer at some stores. But believe me aariving early at the location really works.its better to find the right place for your shoot, make adjustments with you camera settings before the get stuck in the crowd. It is advisable to choose a location which is bit higher than the action location so that you don’t end up seeing the fireworks above you. You can choose a rooftop, a balcony, a bridge, a nearby building etc. 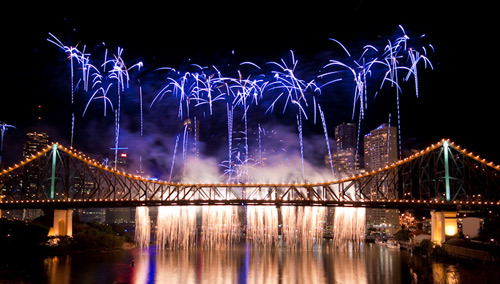 When shooting fireworks don’t just shoot the fireworks include some people, bridge or anything interesting in and around the location. Believe me this will add spice to your photos.try and capture the expressions of the people and children around watching the fireworks. it will add a lot of astuteness to your images. Flash function in firework photography is a big NO! it is a myth that flash help in fireworks photography.but it is not so. Always keep the flash turned off in fireworks photography. Using a flash can end up producing over illuminated and unbaffled looking pictures. However you can use flash to piddle the spectators. Before hitting the location be sure that your camera is properly set up and prepared to go. Setting the camera in an automatic mode won’t work. You need to set in the manual mode and make adjustments with aperture,shutter speed, focusing , flash etc. Fireworks in something you can’t predict about. You never know where and when it shows. You might not be lucky enough to get those perfect pictures. But you can try your luck . So be sure to use the self-timer function. It will help you to capture number of images in one go and you might end up being the luckiest person to get those shots right in your pocket! Play with your camera. Take as much as scenes you can. A digital camera allows you to experiment again and again without hindering your pocket. It is rightly said you get best out of the waste, so you never know when and how he worst pictures you clicked turn out to be the best with some settings. Needless to mention that you keep yourself at a reasonable distance from the fireworks. Some people are so passionate that they get so close to the fireworks that they end up not only losing their equipments but take a chance of their lives too. Flowers- a wonderful gift of nature! All vibrant colors, shapes, size can be found in flowers. Flowers are the sign of beauty with lovely aroma in it. Capturing flowers is an art. You can use beautiful flower pictures for different purposes. You use it as beautiful wall hanging, use in websites, blogs etc. one tip- use it as your desktop background in your PC to uplift your mood. It will work! Presenting some useful tips to capture this gift of god into your camera so that u can cherish them ever and ever after. Treat flowers as children. Just as we step down to the level of children to photograph them similarly we do it for flowers. Very often, it is seen that people look at flowers from above but that doesn’t really help them to excel in this field. So step down to see the difference. It is generally believed that there is never a wrong time to do the right thing. But wait! Flowers are the one of the beautiful gift of nature, so let the nature be at its best to shoot the flowers. The best day to shoot flowers is on a cloudy day. However, early mornings and early evenings are very good to click these beautiful creations. You can also try and shoot flowers at night by using different light generator. Aviod shooting during the midday when the sun is at its peak as it can overexpose your photo. Well you should carry a tripod if you are serious enough in taking those sharp images. Images of flowers can be obscured by even the slenderest movement of a hand held camera. Thus, for better results use a tripod. However alterations have to make in positioning and setting angles of the same. But to master this art you need to take the closest view of the same which can be possible by using a tripod. An important feature in flower photography is its background. It is generally said choose your background first and foreground later. Choose a clean background and try to avoid white and bright yellows in backgrounds. Neutral colors and simple line in the background really works. Before presenting your photographs keep in mind it background matters a lot! Light rules the game. Light has four properties. The tone, color, chroma and focus. The quality of the light can be hard or soft. The color sets up the humor of an image. Chrome is the volume of the color. To get wonderful pictures of flowers disseminate light option settings. An eternal problem in flower photography is wind. It is natural cataclysm which can’t be derogated. All we can do is put some object in and around the subject to stop its movement or simply wait for the pause in the wind. Tying something static to the stem of a flower can be of help too. In the creative world of photography there are various subjects on which you can focus for photography like flowers, sports, landscape , close –up etc. all these subjects are amazing and exciting , you can enjoy your work full. But the most unique subject for photography is babies. For this subject you require a lot of patience and care, as babies get tired soon and most of times they cry. In other subjects photographer controls the shoot, but in case of babies they controls the shoot and it is the duty of the photographer to take beautiful baby picture. Even if you are not professional photographer, then also you can make it your cup of tea for capturing beautiful and amazing moments of your child. 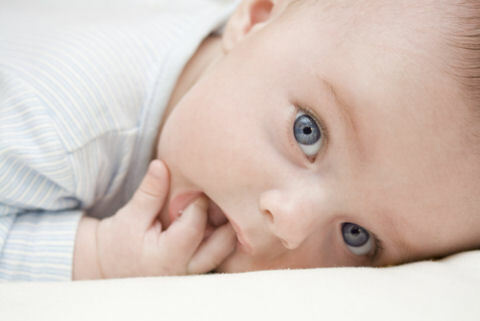 Babies change so rapidly, thus make sure to catch all the fabulous moments of your child like first smile, first bath, first tooth, first step etc. 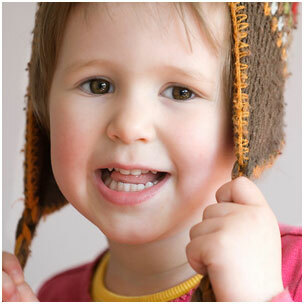 for creating good pictures you can tack your child for one full day and get series of memorable photos. Babies are natural and free, thus you can capture all the feelings like their grin, frown, wail etc. Their mood changes so fast that you get a lot of good pictures in row. You must try to be friendly with the child and get close to him. You can use zoom option to get close up of the baby, as big lens and camera may frighten him. You can try various angles to shoot the baby. Shoot at baby’s eye level or place him on someone’s shoulder. You can even shoot down at the baby in the crib by standing on the chair or line-up several babies on a sofa. Thus by trying these different angles you can get great shots. You can click a great shot by including others with babies like big sister or mother feeding the baby, grandfather or grandmother playing with the baby. You can even include two babies and capture their reactions towards each other. The back ground must be clean so that attention is focused on the baby. It creates good and clear picture. You can use white or black background; it doesn’t have to expensive or professional. You can simply use white bed sheet or black blanket. You can experiment with colors to generate nice pictures. If don’t want all the pictures to be in black and white then use different colors. Color photos look s great and more attractive. You can use editing for unwanted things in the photograph. For instance, if there is extra redness on the baby’s cheek or small scratch then use editing. Smooth picture with an airbrush or with Photoshop. This helps you to make good portfolio of your baby. In this age whatever babies do is interesting. Thus notice each and every movement of the baby. Even the tiniest movement can give a nice shot. For instance baby holding his or her mother’s finger, baby in the middle of the yawn etc. all these moments can give great memories to cherish in future. It will be also a great fun to use funny props with the baby like baby wearing adult hat or giving some expression which is not expected from him or her. So you can surprise everyone by taking some amazing photographs of your child and cherish the moments in future. Photography is the hobby of millions of people and there are various subjects that you can use for photography. The most charming and creative subject on which most people enjoy photography are flowers. There are verities of beautiful and charming flowers which can attract you anytime and provoke you for photography. Flowers whether in a garden or in your vase, appeal everyone with its color and lovely shapes. By clicking photograph you can capture the flowers beauty is at peak. Sometimes even buds make a good photo. For creating a good click you can use the software or Photoshop. If some petals of the flower are damaged then at that time these tools are helpful. But in case you don’t have such tools, then make sure that the damaged petals and small insects are removed. You can take some spectacular and amazing photograph by just keeping some tips in your mind. Before taking a picture, make sure that the background is plain or non- competing back ground. You can also place a black card board or pleasing colored card board behind the flower. Simple background is used so that your flower do not get overshadow. You must use close-up focusing mode to get close up and clear picture. In digital camera you can use display screen to create the picture. For devoted and committed photographers accessory close-up is obligatory. It helps you to take good and attractive picture. If you have software to crop the photograph then can use it to create a nice picture. You must shoot from different angles, as for creating attractive pattern of daises you must shoot down. You should kneel down to the level of flower and can make good click of flowers like tulip and daffodils. You need good light to create good picture of flower. The flash of the camera won’t project the flower well. So you need some backlighting shining through flowers. 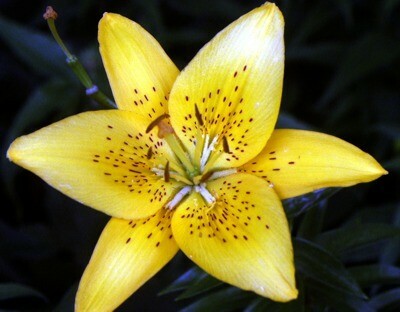 It gives an appealing glow to the flower. Wind can flip your flowers like tulip. Thus in this case bring the flower inside and put it in vase and place it near the window. You can use the card board to block the wind. Click the photograph form such angle that it does not come in the photograph or use colored card board. It can serve as back ground. Water drops on the petals of the flower are an amazing addition. It reflects light and other images. You can also use small spray bottle for creating droplets. But, make sure that you and your camera is not visible in the droplets. You can also add bugs like bees etc on flowers to create a charming picture. It adds life to the flower and dimension of motion. 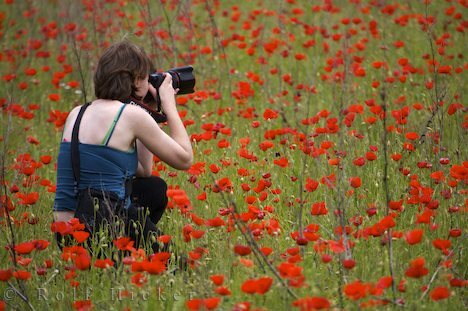 There are plenty of tips to photograph the flowers which can be used for creating magnificent photographs. By using all these tips you can produce some wonderful picture of flowers and can show it your friends and relatives. You require two important parts to carry for the shoot of fireworks. The first one is solid tripod. It helps you to steady your camera and take a good shot. Manfrotto 055XPROB provide very good feature of professional expensive model in lower price. You may require remote for you camera model. It helps you to trigger your camera shutter without touching it. It is helpful when you are shooting at night sky and you have to open shutter for several seconds thus in situation you can use remote without touching the camera. While photographing fireworks you don’t have to use flash. It does not help to capture fireworks at distance. Flash is used to light the subject but in firework it is not required. 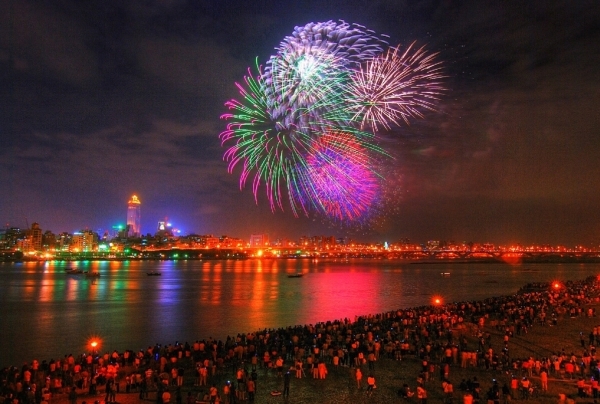 It is also one of the most useful for capturing firework display. You must find out the location that has a direct line of sight to where the fire work will be displayed and avoid obstruction. You also add extra elements to your work of art, as firework display is sometime help over a lake so you can catch the reflection on the water. This will help you to take a good picture. It is a special kind of photography and you have to get in the manual world. You need to take care to lens focus and exposure. You must adjust the focus to the infinity. This is the key feature of capturing great images of exciting firework display. Use camera remote while taking picture, it will help you to take some fantastic photos without any faults. You must leave the shutter open for too long. You must try few shots first as show begins then judge your photos and adjust the exposure. The sky must appear dark and colors to be saturated and too exposed. You must start your exposure just before the explosion and keep it open till the colors fade. You must tray lots of shots by zooming in and out. Shoot vertical or horizontal pictures also. You can also move to different points so that you get different perspective. Last but not the least! You must enjoy the show while taking photos because you are there to have a good time and some capture some good work. It is a great fun of taking picture of firework. It takes little time and practice to capture good photographs, so follow the tips for capturing some mesmerizing pictures.